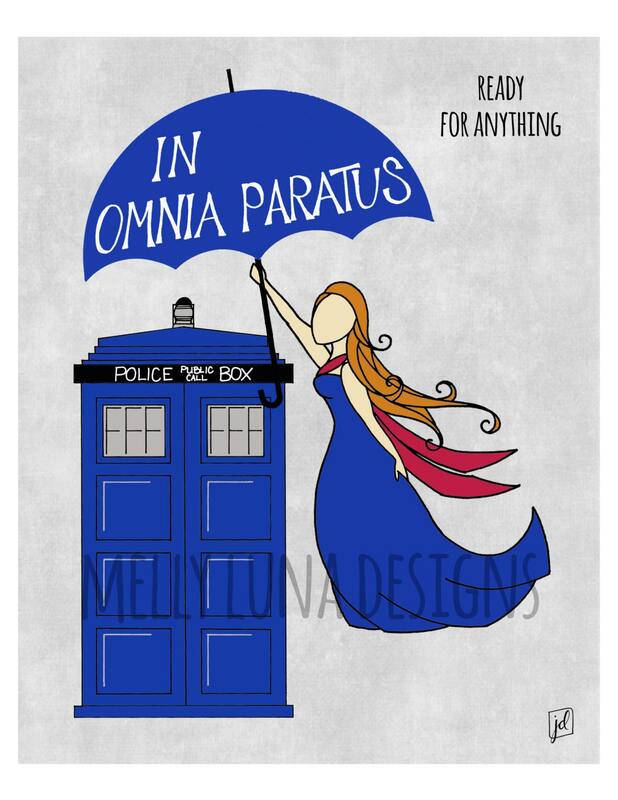 This is a reproduction print featuring a mashup of inspiration from Gilmore Girls and Doctor Who. In Season 4 of Gilmore Girls, Rory joins a secret society in an event where she jumps off of a scaffolding with an umbrella. The theme for the event is "In Omnia Paratus" (Latin for Ready for Anything). 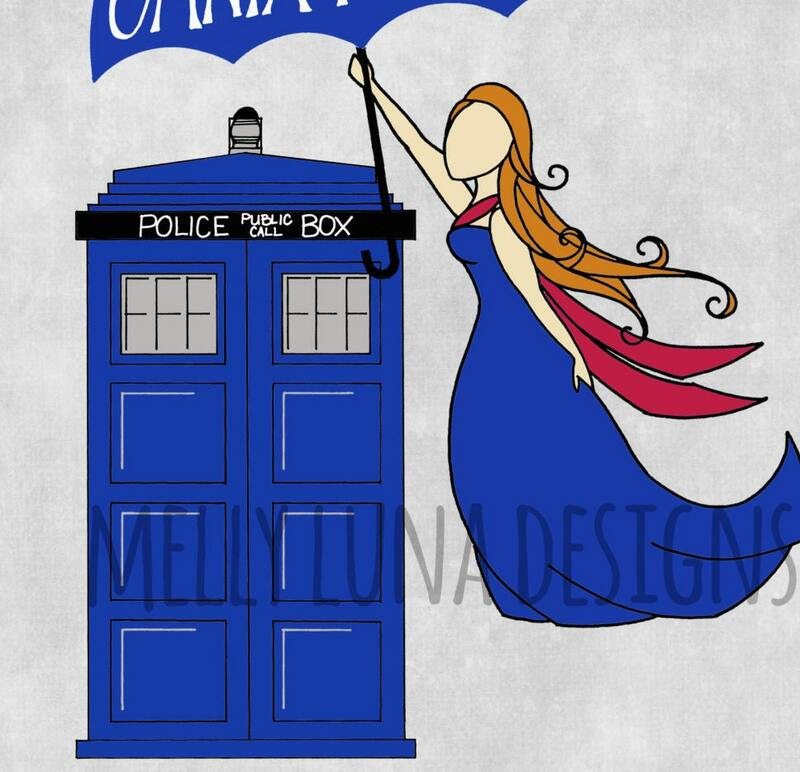 It made sense to include a Tardis. As we know, Doctor Who must be ready for anything too.